Tae Kwon Do is one of the fastest growing martial arts today, due in part to the efforts of Bok Man Kim, an 11th Degree black belt who has pioneered the international development of traditional Tae Kwon Do. Black Belt magazine once called him the “father” of Tae Kwon Do and he has been instructing for the past 53 years. Over the course of his career he has taught and performed for presidents and royalty in Southeast Asia and Europe. In 1941, at age 7, Bok Man Kim was introduced to the ancient Korean foot-fighting techniques of To-San, forerunner of Tae Kwon Do. In 1950 Kim joined the army. During his army years he honed his fighting skills. Rising to the rank of Sergeant Major he began teaching unarmed combat techniques to other servicemen. In 1959 Kim visited Saigon at the invitation of the South Vietnamese government to popularize and promote Tae Kwon Do to members of the police, military and paramilitary establishments. In Taiwan, also upon government invitation, he performed before the Formosan Police Contingents and members of the National Armed Forces. 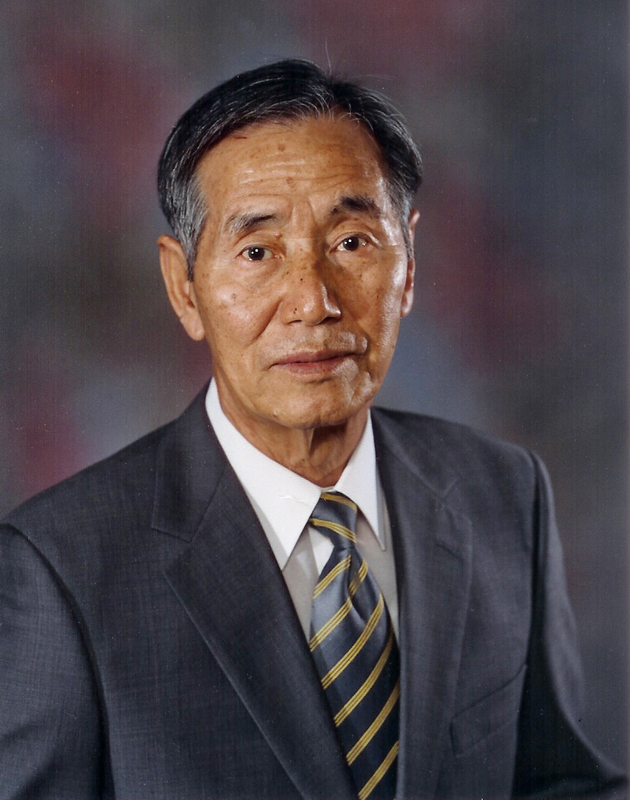 Kim retired from the army in 1962, after which he devoted his life entirely to Tae Kwon Do. In 1963 he arrived in Malaysia with other high-ranking Korean instructors, performing demonstrations throughout the M alaysia peninsula, including command performances for the King of Malaysia and the Prime Minister. Kim organized the Malaysian Tae Kwon Do Association. For the first time, Kim brought Korean instructors abroad under the name of Tae Kwon Do. During that same year Kim traveled to Singapore. 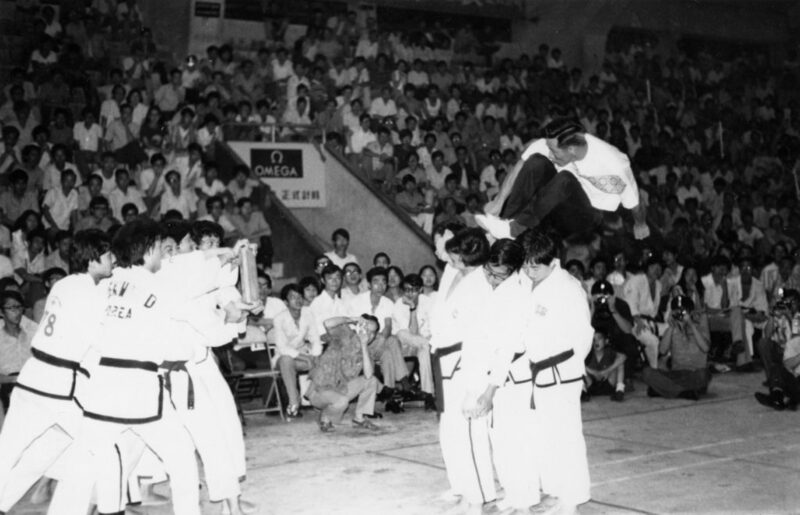 Through public displays he and six other black belts organized a strong following, which led to the birth of the Singapore Tae Kwon Do Association. 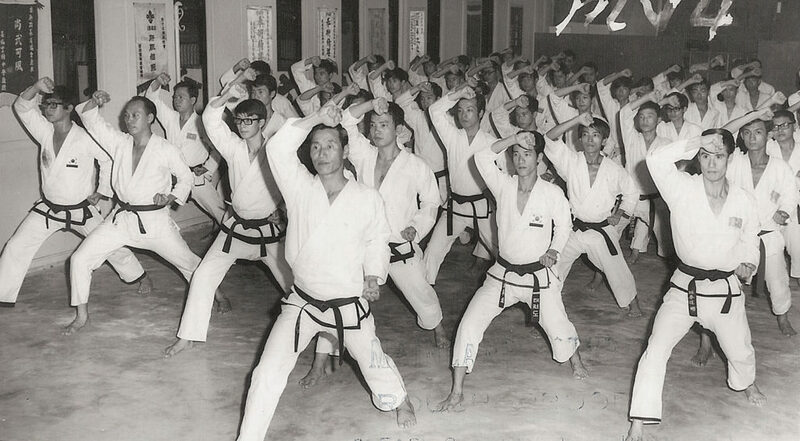 In 1965 Kim returned to Korea and revamped the entire structure of Tae Kwon Do. In the following years, 1966-1969, Kim based himself in Hong Kong and traveled extensively throughout Asia and Europe. During those years he organized the International Tae Kwon Do Association, the Hong Kong Tae Kwon Do Association and the Brunei Tae Kwon Do Association. He also helped the infant Thai Association in Bangkok get off the ground. Outside of Asia Bok Man Kim established Tae Kwon Do Associations in the United Kingdom, France, Holland, Poland, Portugal, Uganda, Kenya and Australia. In 1970 Kim went to the Philippines at the invitation of President Marcos. After the first demonstration of Tae Kwon Do in the Philippines, Kim founded the Philippines Tae Kwon Do Association. In 1971 Kim returned to Hong Kong and in 1972 the First Hong Kong Tae Kwon Do Tournament and demonstration was held. In 1973 Kim went to Sarawak at the invitation of their government. After successful demonstrations, he organized the Sarawak Tae Kwon Do Association. In 1975 Kim was again invited to Sarawak by the Governor of Sarawak; for the Sarawak Open Tae Kwon Do Championships. Traveling back through Southeast Asia he checked on the growth and development of his Tae Kwon Do Invitation Game. He was also invited to Chicago for the Third Tae Kwon Do Championships. In 1979 Kim was invited to the Fourth World Tae Kwon Do Championship in Munich. From Munich he traveled throughout Europe giving lectures, demonstrations and instructing. Returning to Asia, Kim continued to help the growth of Tae Kwon Do. In 1990 Kim came to the United States and opened his first American school in St. Louis, Missouri. In 1994 Kim then opened a school in Denver and later in Federal Heights. In 2008, he moved to New Jersey and opened Complete Martial Arts with Grand Master Brad Shipp. Since 2008, they have traveled throughout the USA and to countries such as S. Korea, Malaysia, England, Russia, Netherlands, Austria, and the Czech Republic teaching martial arts seminars. Mr. Kim has written three books on the subject of Tae Kwon Do and is now in the process of creating a new federation, the World Chun Kuhn Do Federation. He has recently aligned the World Chun Kuhn Taekwondo Federation with the United Taekwondo Alliance, which will begin teaching his weapons curriculum throughout the United States. Kim deserves the utmost admiration for his experience, skill and knowledge. His students have the greatest respect for him as a person and instructor.